Toby Berger checks out the latest rhythm-music runner from genre diehards Choice Provisions. There’s something great about the whimsicalness of Runner3. While it’s likely you’ll be sent into sheer frustration more than a few times thanks to the game’s difficulty, it’s quite good fun. There are some issues that stop it from being great, and it’s more about the refinement of the series’ gameplay concepts rather than the evolution of them, but Choice Provisions’ latest is all about rewarding the perseverance of the player above all else. 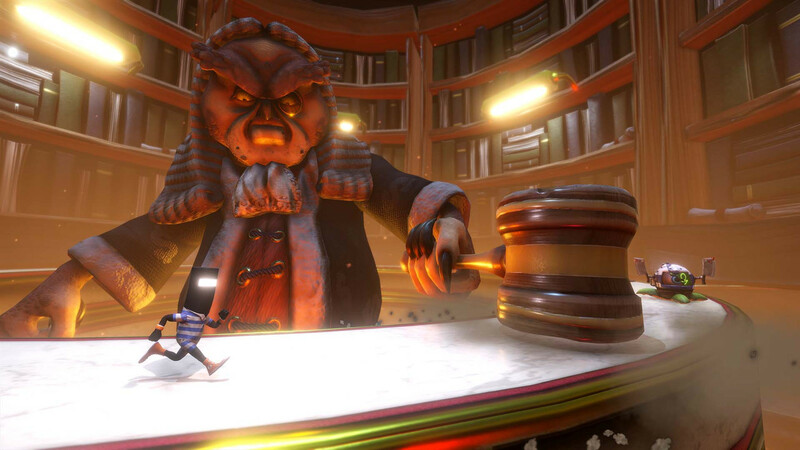 Opening up with alliteration-heavy narration from the excellent Charles Martinet, Runner3 establishes its comical tone nice and quickly. It then holds it for the majority of the game’s six-hour story, with Martinet’s enthusiasm acting as a nice backdrop to the ludicrousness of everything on offer. Much like the other games in the Bit.Trip Runner series, Runner3’s gameplay is relatively simple – all you ever need to do with your character is run from the beginning of a level to the end without being hit by anything (or falling into a crevasse). As the game’s an auto-runner, the onus comes down to your reflexes more than anything else, and the opening levels aren’t too much of a test. However, as the difficulty creeps up you’ll soon find yourself having to take a couple of deep breathes from the sheer stress of it all. Yes, that simple gameplay premise of going from A to B becomes increasingly difficult as the game starts chucking a multitude of different obstacles at you. Not all is bad though, and mid-level checkpoints are your best friend, but it’s not an easy ride in any sense. One of the most compelling things about Runner3 is that it’s a game that rewards you for learning a level’s path and experimenting with what’s on offer. There are a ton of collectibles you can grab in each level (especially in their hard variations), which make each course ripe for multiple runs. Thanks to this, more often than not I felt like going back and collecting what I could, which was in turn a good way of refining some key movement techniques. Things like well-timed jumps and crouches become vital as you progress further into the game, and adjusting and perfecting those core mechanics early on saved me a lot of unnecessary deaths. That said, unless you’re a professional in these types of games, it’s very likely that you’ll find yourself struggling a bit in Runner3. It’s not a game that expects the most precise of button presses from you in the beginning, but the difficulty ramps up really quickly and mastering movement techniques early on is key to not being caught too far into a loop of frustration. The toughness of the difficulty in Runner3 contrasts heavily with the comical backdrops in the majority of the levels you play through. The opening level, for example, is filled with larger-than-life breakfast materials scattered throughout the plain, and the weirdness of it all distracted me a bit too much at times. These environments are beautifully designed and look great on the Switch’s screen in particular, though taking in the sights and sounds and not concentrating on your run will lead to failure more than anything else. 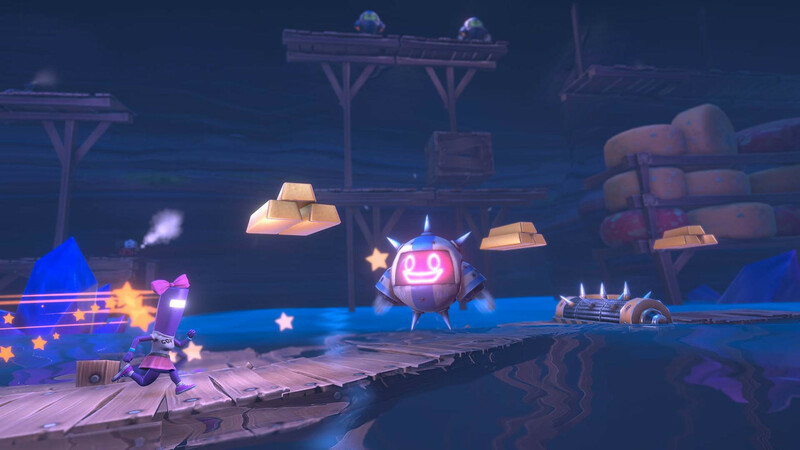 The Bit.Trip series has always been known for its unique blend of rhythmic platforming, and that returns in Runner3. That said, I didn’t find many of the tunes in the game all that memorable, each more or less acting as a little background noise for each new level I ventured through rather than being an integral part of the game experience. It’s a shame too, given some of the musical work from previous titles was so good. One of my biggest gripes with Runner3 is that a lot of the game’s levels tend to drag for a bit too long, to the point where restarting them after a mistake can become tiresome rather quickly. Checkpoints are fairly sporadic in levels that last upwards of three to four minutes, and too often did I find myself frustrated and playing a game of trial and error in order to progress. Some players will enjoy this though, and patience and persistence is rewarded in Runner3. Learning and perfecting tracks, and in turn nabbing a bunch of the game’s collectibles, will give you the currency to unlock new characters and new tracks, which opens up more replayability if you’re keen on that venture. However, for players that are all about the ‘one-and-done’ approach to levels or don’t have the time to invest, you’ll quickly find yourself debating whether it’s worth the trouble. While we’ve seen a lot of endless runners over the years, Runner3 is definitely one of the better ones. With that said, it’s by far one of the hardest, too. The game’s great for those who are patient and want something meaty to dig into, especially if you’re all about collectibles and unlocking everything, though those without a lot of patience will quickly find themselves ready to tear their hair out. It’s definitely worth checking out if you’re at all a fan of the Bit.Trip Runner series, but newcomers might find themselves in a web of frustration rather quickly. 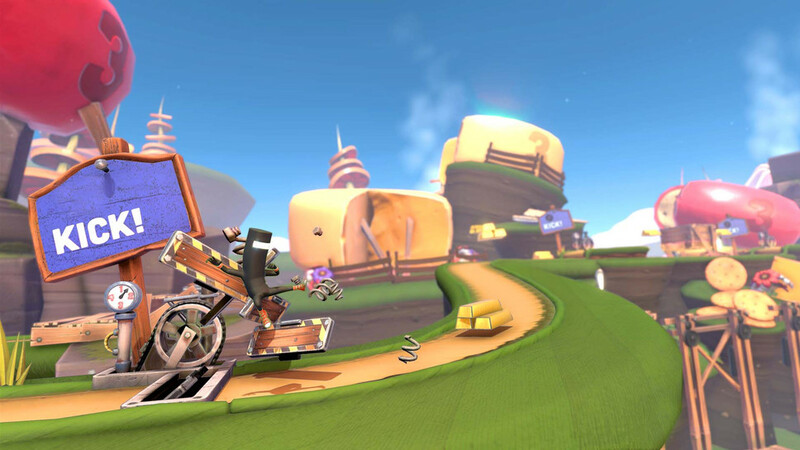 Runner3 is a fun – if flawed – continuation of the Bit.Trip Runner series. While its stages are beautiful and the whimsical nature of it all is charming, the heavy difficulty spikes make you really work for any sense of enjoyment. Ups Great presentation. Levels are fun and are filled with things to collect. There’s a lot to work through. Patience is rewarded. Downs Difficulty can be off-putting. Music is disappointing this time around. Levels tend to drag. The concept of it all is stretched about as far as it can go.